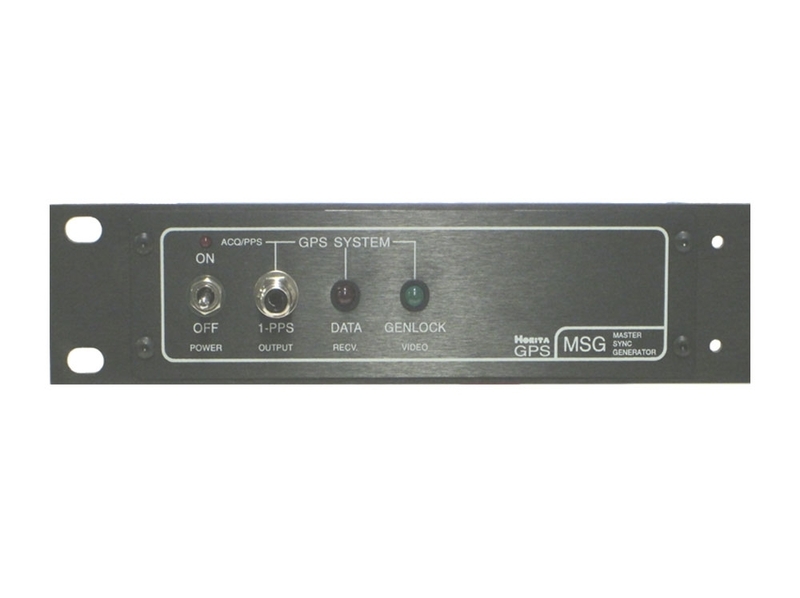 GPS-MSG synchronized video is synchronous with all other HORITA GPS-MSG generated video signals anywhere worldwide, typically within ±10µs, independent of their location on the globe. 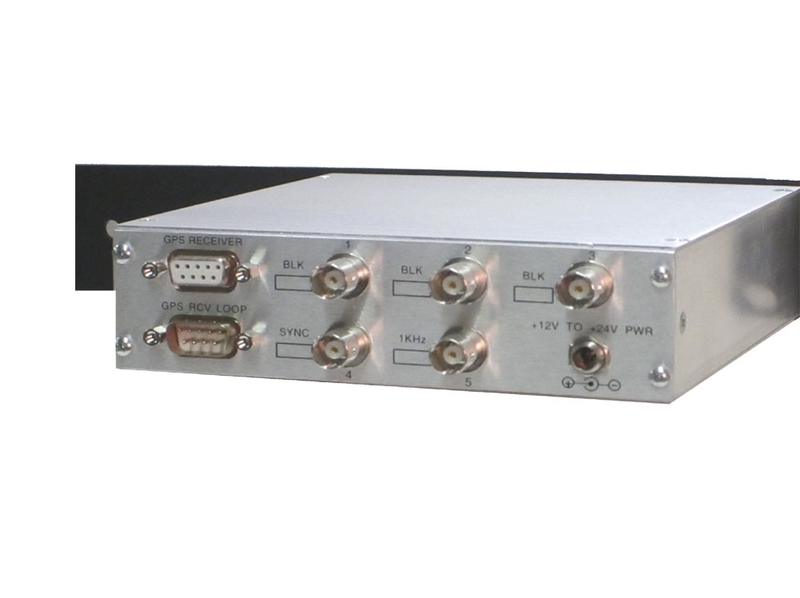 When used with the HORITA GPS-MTG2 SMPTE Master Time Code Generator, the exact relationship established between the SMPTE time code and Coordinated Universal Time (UTC) allows the SMPTE time code to function as an instrumentation time code. All GPS-MSG synchronized cameras will record the same time for an event, with the exact UTC time of any television frame and line number known and the time code hours, minutes, seconds, and frames identical at any moment, anywhere, worldwide. Video frames from widely separated GPS-MSG cameras or other video sources start simultaneously and are scanned synchronously to within less than 1H time. The long-term accuracy of the GPS-MSG is derived from and equal to the world's best atomic clocks. 5 BNC outputs can include any mix of up to 5 SD RS-170A blackburst, 4 composite sync, blanking, horizontal or vertical drive, 1 subcarrier, and 1KHz, 0dB audio tone. 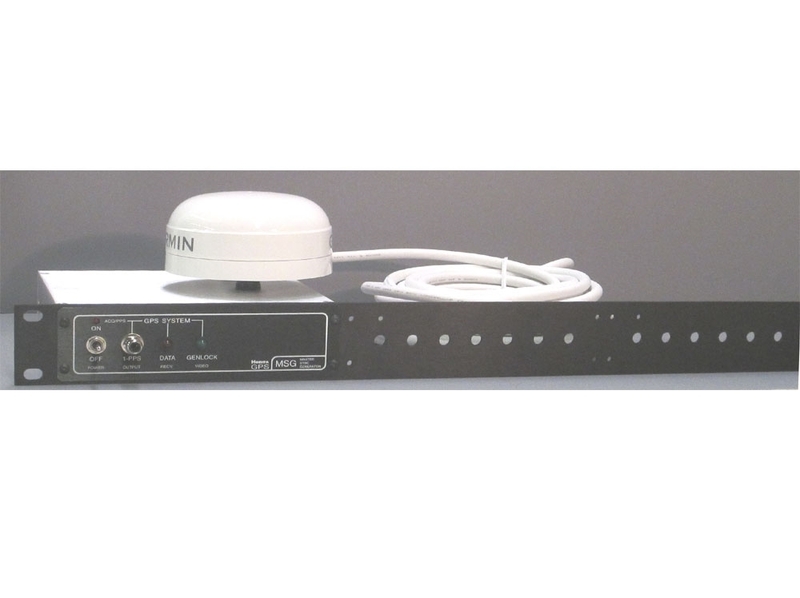 Complete system includes ruggedized GPS Antenna/Receiver, 30 ft. GPS-to-MSG2 cable, power adapter, and instruction manual. Occupies 1/3 of a standard HORITA 1-3/4" x 19" rack panel which can also hold two additional HORITA products, such as a GPS-MTG2 SMPTE Master Time Code Generator and a VG-50 VITC Generator/LTC-VITC translator. 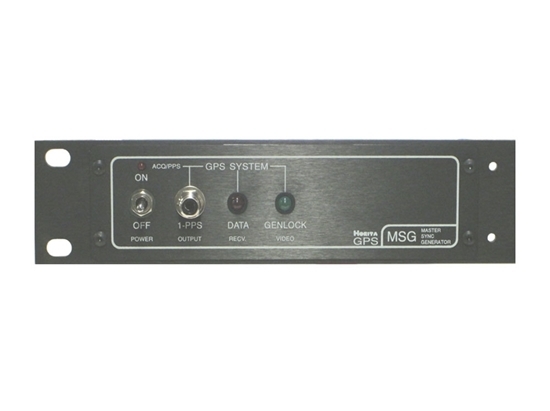 GPS-MSG can share GPS Antenna/Receiver with GPS-MTG2. Price without GPS Antenna/Receiver - $885.